There is a very good reason for taking the free self esteem test and boosting optimism and confidence : It is a fact that low self-esteem stands in the way of optimism, prevents positive attitude, and ultimately can be a real obstacle to happiness and confidence. A lack of self-esteem leads to negative expectations, self- doubt and unhappiness. A lack of self-esteem has an impact on life, on family and at work. Consequently, to seek happiness, we must develop optimism and high self- esteem. The happier we are, the less stressed we are, and the less likely we are to get sick, hence leading a healthier and more fulﬁlled life. 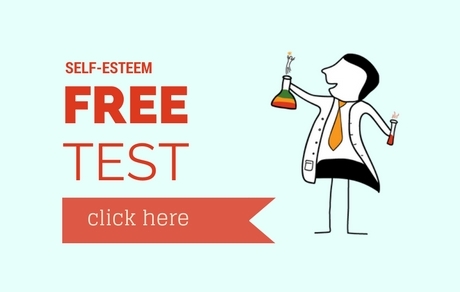 to learn about the level of your self-esteem why not taking the free self esteem test? By creating the Rapid Improvement Self-Esteem, Professor Sam Nassif, Ph.D. had the intention to provide a service which can create the greatest good for the greatest number of people: a transformational tool that can make people free and happy. We would like to share with you a unique Method that will help improve your self-esteem. With this Method you will improve your self-esteem in less than three-month time with only 3 to 8 minutes per day. If you think you have low self-esteem, then riseselfesteem.com offers you a method to improving self-esteem and boosting self-confidence. This new technique represents a major advancement that will transform your life. The Rapid Improvement Self-Esteem or RISE, is an unprecedented method which is simple to learn, easy to apply and leads to impressive results. The method is based on connecting behavior and emotions, which helps get into action, moving forward, developing and improving self-esteem. First, you need to be truly honest with yourself and admit that you need to improve your self-esteem. 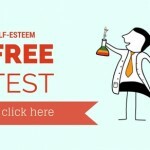 Have you taken the Self-Esteem Personal Test” to measure where you stand www.riseselfesteem.com/test ? We invite you to start by taking the self-esteem personal test which will measure your self-esteem and will tell you where you stand and how much improving self-esteem you may need. Many problems have their origin from a lack of self-esteem and the vast majority of people do not realize this fact. Improve your self-esteem and many of your problems will disappear and you will enjoy a happier life. We put at your disposal this new technique so that everyone gets a chance to improve his or her self-esteem, to feel the positivity and empowerment a high self-esteem leads to and to live a thriving life. We want to help you transform your life with a simple method aiming at improving self-esteem and self-confidence. As you will learn in the RISE method worldwide academic research has demonstrated time after time that self-esteem has a major influence in our lives: a low self-esteem can sabotage your entire life. On the opposite, high self-esteem increases self-confidence and definitely leads to a happier and more successful life. We invite you to start by taking the self-esteem personal test which will measure your self-esteem and will tell you where you stand and how much boosting self-esteem you need. Don’t be discouraged if you feel you have low self-esteem. Building self-esteem can be learned thanks to our method and system. All you need is to use the RISE method on a regular basis for a few minutes each day. When you do that, we assure you that your self-esteem and self-confidence will improve rapidly and automatically. The next thing is to acquire the Method. The RISE self-esteem method is very simple to understand and easy to apply. It consists in connecting behavior and boosting emotions together. The speciﬁc behavior we are looking for is an action. When you get into action you are moving forward, developing and progressing yourself. However, we all know that it is part of the human condition not to always do what we know we should do. We do not always act in our best interest, even when we know. Thus, to overcome this paradox, and do what is worthwhile doing, we need to act in a way that reveals our goodness. The good actions system is the activity to build good feelings. This triggers emotions, which in turn result in improving self-esteem and lead you to achieve your fullest potential. Good actions create feelings and affective states that influence the memory. Your beliefs become your thoughts, your thoughts become your words, your words become your actions, your actions become your habits, your habits become your values, and your values become your destiny. Our aim is to help you overcome your barriers and obstacles due to low self-esteem and to help you trust yourself and attain a happier life. The RISE method is an efficient tool that will unlock your potential and let rise your best qualities. The method is easy to learn, simple to apply and leads to impressive results. With RISE you shall reach deeper understanding and encounter strong emotions. You will build a high level of self-esteem that will change your life.